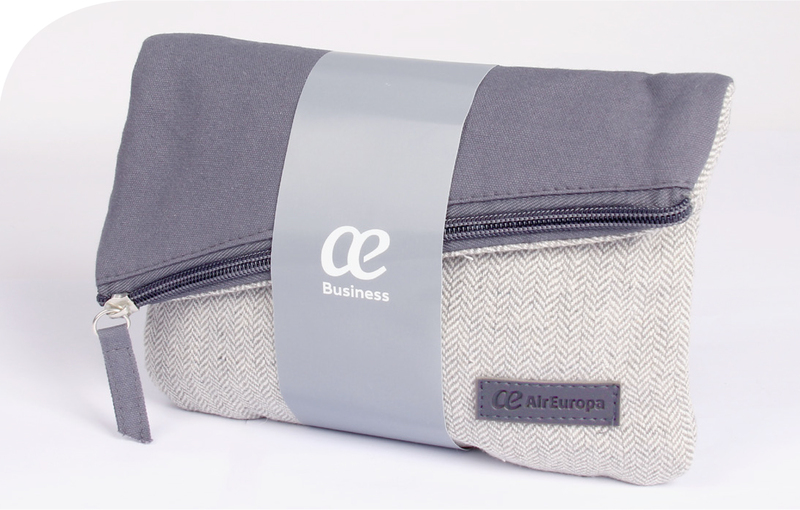 Air Europa’s Business Class passengers are already enjoying our functional amenities kit: a classy style, made with the highest quality materials and combined with neutral grey tones makes it the perfect unisex bag. The bag can be used folded or unfolded thanks to its incorporated magnet. It is ideal for travel giving you the possibility to use it as a clutch bag. The travel bag contains two interior pockets that help you to have your personal belongings well-organized. Besides, the passengers will be gifted with a set of cosmetics from Unicskin, a fresh and innovative luxury brand offering truly effective unisex dermocosmetic solutions for all skin types. 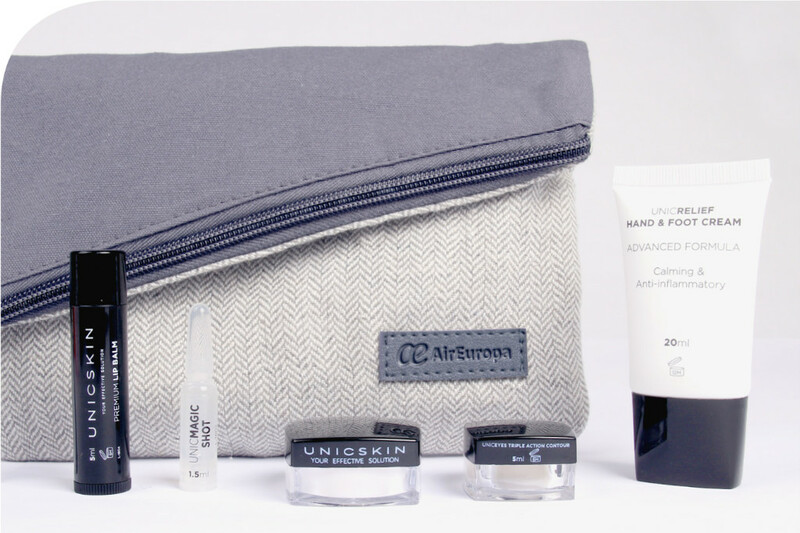 The amenity also has some essential items necessary for the passenger’s comfort: travel socks, earplugs, eye mask, toothbrush and toothpaste, all designed and customised in detail, so Air Europa’s passengers will have the perfect amenity kit to enjoy their trip. Thank once again to Air Europa for trusting Kaelis to make the passenger’s experience onboard unforgettable! For more information, please contact your Account Manager or click here.